Avian Safaris operates tours/safaris in Uganda, Kenya, and Rwanda. Please read these Terms and Conditions carefully as they set out our respective obligations and form the base of your contract with us. In these terms and conditions, “you” means all persons named on the booking (including anyone who is added or substituted at a later date) and “we” and “us” means Avian Safaris. These terms are revised from time to time due to changing circumstances; the conditions at the time of booking are the terms that are valid. Conditions in Africa are not the same as those in developed countries and standards of service, medical facilities, safety, and security may often be lower than those in your home countries. Please note that it is the laws and regulations of the country in which services are provided which apply to your holiday arrangements and not those of your home country. You must obtain confirmed onward or return flight tickets before departure to Africa. Avian Safaris cannot be held responsible for denied entry to any country through failure to supply proof of onward travel. You must accept responsibility for reconfirming all onward travel arrangements. You are responsible for checking-in at the correct time. All passports, visas, health certificates, or other travel documents required for a holiday must be obtained by you, whose responsibility it remains to ensure that these are in order, and to meet any additional costs incurred (whether by you or by the Company on your behalf) as a result of failure to comply with such requirements. Any information or advice given by Avian Safaris on passports, visas, vaccinations, etc. is given in good faith but without responsibility on the part of Avian Safaris. When you decide to book, we send you an invoice and the payment procedures. We create booking vouchers for all accommodations and hand-deliver these vouchers to the appropriate accommodations to check availability, secure them and make payments upon receipt of your full payment transfer. When booked well in advance (3 months or more), there is usually no problem in securing all the desired accommodations. A non-refundable deposit of 20% of the total trip cost will reserve a place for you on our tours. The balance of the fee is due 60 days before the start of the journey. All prices are quoted in US dollars and must be paid in US dollars. In case of gorilla permits, a full advance payment of the permit fee is required. Bookings made within 60 days before arrival must be fully paid at the time of confirmation. If the above, Avian Safaris do not receive payment has the right to cancel the booking. Payment can be made by Electronic bank transfer, VISA credit card, or Cash in any way before the start of the safari. 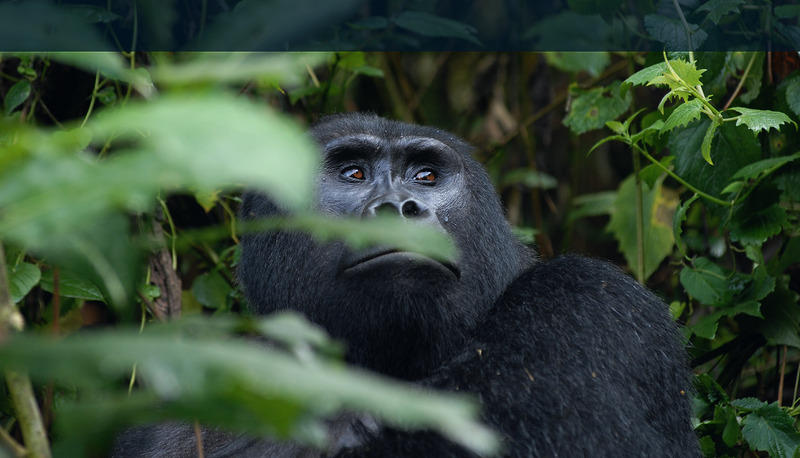 Only when payment has been received can permits for gorilla tracking in the relevant National Parks be purchased. Permits are subject to availability. Avian Safaris shall try to ensure that the company exceeds the expectations in every area of the tour arrangements. However, suggestions are very much appreciated to keep improving the quality of the service. Complaints must be reported immediately to Avian Safaris representative and to the supplier of the service in question, who will do their best to resolve the matter. If the problem is not solved to the client’s satisfaction, the complaint should be reported in a written form and not later than 30 days after completion of the tour. Liability for any complaints not notified by the above-described procedure cannot be accepted. Although it is rare in practice, Avian Safaris reserves the right to change a program’s dates, itinerary circuit routing, accommodations if conditions warrant. If a trip must be delayed, or the itinerary changed due to bad weather, road conditions, transportation delays, government intervention, sickness, or other contingency for which Avian Safaris or its agents cannot be held responsible or make provision to the best of our ability, the cost of delays or changes must be paid by the customer(s). Occasionally we have to cancel confirmed bookings. We always endeavor to avoid canceling, but we must reserve the right to do so. We shall not cancel your confirmed holiday less than 60 days before departure unless we are forced to do so as a result of unusual and unforeseeable circumstances beyond our control, the consequences of which we could not have avoided even with all due care. If we cancel your holiday (except where you have failed to make payment or as a result of force majeure), we shall offer you the choice of purchasing an alternative holiday from us of a similar standard to that originally booked if available. If the chosen alternative is less expensive than your original holiday, we shall refund the difference, but if it is more expensive, we shall ask you to pay the difference. Alternatively, you are entitled to a full refund of all the money you have paid to us save that paid for gorilla permits which can only be refunded if the refund has been made available to us. Except where we cancel for reasons other than those mentioned in this clause, we shall have no further liability to you. We regret we cannot pay any expenses, costs or losses incurred as a result of any cancellation. We reserve the right, without prior notice, to terminate the holiday of any person in your party if, in our opinion or the opinion of any other person in authority, the persons concerned behave in such a way to cause or be likely to cause danger, annoyance or distress to any third party or damage to property. In this situation, the person(s) concerned will be required to leave the accommodation or another service immediately. We shall have no further responsibility towards such person(s). No refunds will be made, and we shall not pay any expenses or costs incurred as a result of the termination. Should you or any member of your party be forced to cancel, you must advise us in writing. A cancellation is not valid until we receive a copy of your written notice. To cover our estimated loss caused by the cancellation and as we may be unable to resale your holiday, cancellation fees, excluding insurance, will be levied per person as follows: Period before departure Cancellation charge (as a percentage of total Tour price paid where applicable). All cancellation requests must be made in writing and shall be effective on the date of actual receipt by Avian Safaris. Avian Safaris reserves the right to deduct all expenses incurred from money paid. No refunds will be made for any unused services, late arrival or no-show of any of the members of the tour. We strongly recommend that you purchase trip cancellation insurance to protect your investment. We ensure that every person is entitled to a Window seat in the vehicle. Every effort is made to ensure that vehicles are provided in a roadworthy condition but no liability can be accepted for the breakdown, or any damage or delay. Our guides are instructed to follow our code of conduct for Guides (available on request), which you must not ask them to break in any way. If a Guide does not follow the code, please inform the Safari Manager in Kampala. Company vehicles must only be driven by the company’s Guide whose decision on all matters, such as the route taken, is final. You will be liable for any damage caused to a vehicle by any interference by you with the vehicle, including legal costs. Incase of breakdown, it’s our responsibility to rectify the situation. We can either withdraw the vehicle in question, replace it or if the breakdown is minor and can be corrected, we reserve the right to do so. Avian Safaris will make every effort to ensure that all arrangements and services connected to the safari will be carried out as specified in the most efficient and effective way possible. However, the company does not have direct control of the provision of services by suppliers and, while every supplier is chosen with the utmost care, Avian Safaris does not accept liability for errors or omissions of such suppliers. Avian Safaris, shall not be liable for any loss, damage or injury of any nature whatsoever whether to person or property. While every care is taken, Avian Safaris cannot be held responsible for the direct or indirect costs of loss or damage to baggage or personal possessions. We will take all due care to prevent your death, injury or illness is caused by the animal or insect life of the destinations. Avian Safaris cannot accept liability or pay compensation for unforeseen circumstances beyond the control of the company or its staff, including flight delays/cancellations or force majeure such as war or threat of war, riots, civil disturbances, terrorist acts, border closure, acts of government or other authorities, strikes, thefts, epidemics, road closures, industrial disputes, natural or nuclear disaster, extreme weather conditions, fire, technical and/or mechanical problems to transport and all similar events beyond the company’s control. It is the responsibility of the travel agency/wholesaler to ensure that all members of the tour have the appropriate passports, visas, travel permits, health certificates and other documentation required for the safari. It is the responsibility of the clients to take proper medical and practical precautions regarding health and safety. Medical advice should be sought well before traveling. Clients are strongly advised to obtain comprehensive travel insurance before coming to Uganda. Local evacuation coverage is available in the unlikely event of a medical emergency while out on safari with Avian Safaris. The respective laws of the country govern Avian Safaris liability to passengers carried in its vehicles. All claims are subject to the jurisdiction of the courts of the country in which the cause of action arises. It is a requirement when booking your holiday that you arrange personal travel insurance which is relevant and effective. Persons not fit for long trips due to heart disease, chronic illness, physical handicap, advanced pregnancy or mental illness are advised not to participate in such rigorous travel programs. The insurance should cover death, injury, theft of the clients’ personal property and medical expenses. Activities with the higher risk such as Whitewater rafting and Mountaineering should be covered. My advancement of a deposit to Avian Safaris declares that I had thoroughly read and understood the content of the Terms and Conditions. On the advance of a deposit to Avian Safaris, the depositor, his or her family and beneficiary agree to be bound by the above Terms and Conditions.